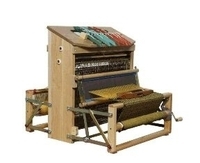 In 1995 while picking up looms in L¹islet, Nilus Leclerc announced that they would be discontinuing many models of looms. 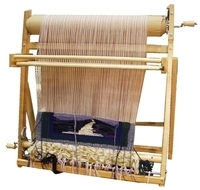 I asked them if the loom division was for sale and they answered "maybe". Two weeks later, after a few meetings, we had come to an agreement. 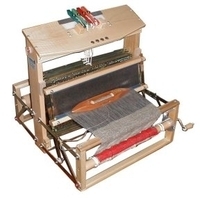 We bought all the inventory and the tools required to make the looms. 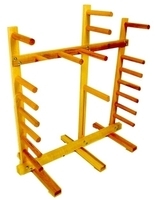 I asked a friend here in Plessisville, who had many years of woodworking experience, to manufacture all the wooden parts for us. He bought a few machines from Nilus Leclerc and started production a few weeks later. We found a location in the industrial park and within 4 weeks, production was resumed. 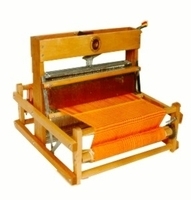 The new Company " Leclerc Looms" was created. 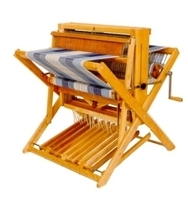 Between 1995 and 1998, we worked very hard increasing the quality of the product and giving the same good service we were well known for in the yarn business. 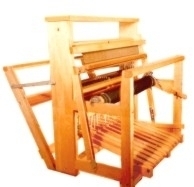 Since 1998 I spent a lot of time improving the products, and with the help of my employees and customers, we developed many new models of looms. Today 70% of our sales are for new or improved products. 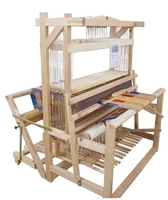 Sales of yarn and looms were growing and we needed more space. In March 2001 we bought a 25,000 square foot, 2-story building just one block from our old factory. We moved our 2 companies into the new location and now have a very good set up. Étienne (my son) who also studied textiles in St-Hyacinthe joined the company in 2001 and is now co-owner of Maurice Brassard & Fils and Leclerc Looms. Leclerc Penelope III 22 1/2"
NILUS II 36", 45", 60"
COLONIAL V2, 45" or 60"